Join CFI MI members to visit the Darwin Discovery Day to celebrate the life of Charles Darwin at the Michigan State University Museum. The Michigan State University Museum presents its annual Darwin Discovery Day on Sunday, Feb. 10, 2019, 1-5 p.m., with an afternoon of discovery inviting young and old alike to explore backyard curiosities and extraordinary natural science specimens from around the globe. Visit the website for more specific information about the available activities! Meet us for lunch before the event at Blaze Pizza at 437 East Grand Ave at 12:30pm.  To find the group, please look for the table signs with the Center for Inquiry Michigan logo. We recommend Visitor parking: Grand River Avenue Parking Ramp No. 6 as it is located close to the museum and Blaze Pizza. The ramp, located at the corner of Grand River Ave. and Charles St., is located just one block from the MSU Museum and is convenient to downtown East Lansing shops, galleries and restaurants. It has more than 150 metered spaces on the basement floor and first level for campus visitors. The ramp is accessible from both on-campus via East Circle Drive and off-campus, from Grand River Avenue.